We were being good for our January Love Cake. Not scrap was thrown out for our theme of 'No Waste'. If you're after some ideas to use up egg whites, mincemeat, lemons, bananas, raspberries, marzipan, parsnips and yogurt take a look at the round up here. This month celebrates the second anniversary of Love Cake - as if we need a reason for cake! The Venerable Bede tells us that the Anglo-Saxons called February Solmonath or Month of Cakes. With all that in mind I have declared a cake free for all this month. Bake what want and come and share it. Therefore the theme for this month is THE MONTH OF CAKE. 1. 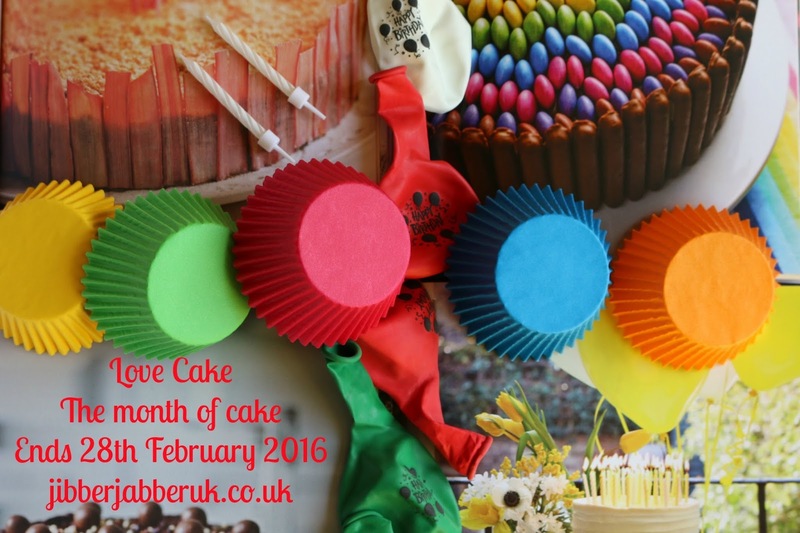 Please make sure your entry conforms to this month's theme of THE MONTH OF CAKE. 3. Enter the URL (web address) of your post into the Linky at the bottom of this post. Once the link closes on Sunday 28th February 2016 at 23:55 no more entries will be accepted. I love the idea of solmonath being the month of cake! A free for all is always good! I'm sharing a savoury cake, hope its acceptable - fits in with the theme of love for sure. Hope you well.